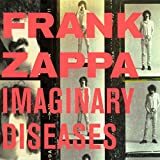 100% pure and sure guitar solos from the ZAPPA man!. 3 CD's full of tantalizingly exquisite improvised compositions, mostly culled from live performances during 1979-80. 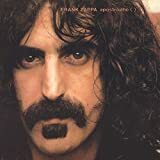 Backed by a host of different bands and musicians, ZAPPA makes his instrument express stuff more blasphemous than any mere words could ever convey. 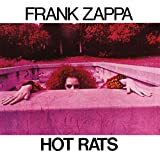 "Five-Five-Five" and "Hog Heaven" draw his most brutal and metallic tones; "Ship Ahoy" puts ZAPPA's distorto-funk shuffle over a cooking rhythm section. "Canarsie" lays ZAPPA's sinuous SG against bizarre rhythm passages featuring Warren Cucurullo's sitar. "Treacherous Cretins" finds him soloing over a reggae riff; "Variations on the Carlos Santana Secret Chord Progression" lives up to its title with the band aping a Latin percussive groove; "Beat It With Your Fist" is two minutes of maximum-velocity metal. But there's also some prettier moments here, like the reflective "Pink Napkins" and "Canard du Jour," an improvised duet with FZ on bouzouki and Jean-Luc Ponty on violin. Well known guest musicians include Steve Vai, Peter Wolf, Eddie Jobson and Terry Bozzio. These albums were originally released only by mail-order and now have been all put together in one lovely CD package. Essential from the ZAPPA vaults! The Shut Up 'N Play Yer Guitar Box Set, contains the whole Shut Up 'N' Play Yer Guitar Trilogy. Shut Up 'N Play Yer Guitar, Shut Up 'N Play Yer Guitar Some More and Return Of The Son Of Shut Up 'N Play Yer Guitar, it's all here in this box set. The amount of musicians that worked with Frank Zappa is staggering. Vinnie Colaiuta on drums, Ed Mann on percussion, Eddie Jobson on keyboards, Steve Vai on rhythm guitar, French virtuoso violinist Jean-Luc Ponty on well.. the violin, Ike Willis on rhythm guitar, Arthur Barrow on bass guitar, Terry Bozzio on drums, Warren Cuccurullo on guitar and sitar, Roy Estrada on bass, Bob Harris on keyboards, Andre Lewis on keyboards, Patrick O'Hearn on bass and wind instruments, Denny Walley on rhythm guitar, Peter Wolf on keyboards and finally Ray White on rhythm guitar duties. A line up of very accomplished musicians, no doubts about that what so ever. five-five-FIVE is the crazy opening track, named because one of the signature features of the song is the use of 2 bars of 5/4 and one bar of 5/8. It's pretty crazy, and I always picture some sort of spy on a mission in my head when I hear this song. Whether that was the intention, I don't know for sure, but nonetheless pretty cool anyway. Unfortunately, I didn't find the rest of the songs that were originally on the Shut Up 'N Play Yer Guitar to be particularly appealing. Variation on the Carlos Santana Secret Chord Progression is an amusing name for a song, even if the song itself isn't particularly amusing. A good song nonetheless. I liked the fretboard pick tapping licks on Gee I like Your Pants, not a common guitar technique at the time, so pretty cool to be able to hear that from Zappa. After that I was particularly fond of the rest of the songs that were originally on Shut Up 'N Play Yer Guitar Some More. 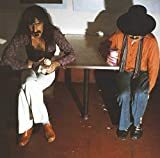 They seemed to kind of just wonder a bit aimlessly and some of the improvisation, much like the stuff from the first set of songs from Shut Up 'N Play Yer Guitar, is hit and miss. The opening words on Canarsie make me laugh every single time, but the rest of the song just grates on my nerves really. The Return Of The Son Of Shut Up 'N Play Yer Guitar is fortunately where the box set really begins to pick up. A much better sense of band dynamics here, which means the songs are overall, more satisfying and interesting to listen to. Vinnie Colaiuta's drum work throughout, really captured my attention, enough so sometimes I would focus on the drum parts more than the other instruments. Beat it with Your Fist, is an amusing title, with some occasional almost random bass tapping thrown through the track for more humor content, but not in way that negatively impacted how I felt about the song. That and combined with almost indecipherable conversation at the end, really add a touch of light heartedness to the proceedings. Frank's playing on Return Of The Son Of Shut Up 'N Play Yer Guitar (the song) range from faster, more furious licks, to quieter moments and all in between, so he establishes a good dynamic range throughout. The rhythm section is strong, and keeps the listeners interest more so than I expected. Pinocchio's Furniture, again, has an odd off kilter title, that will either have you feel amused or just plain confused. What is has to do with the actual song itself, I have no idea, but perhaps it's all the more amusing for it. Why Johnny Can't Read is another odd title (A theme throughout this box set perhaps), with Frank playing around with different scales and modes to create some more tension and maintain more listener interest. Some not bad at all bass playing from Arthur Barrow is displayed throughout that song too, and can only help make the song more enjoyable. Stucco Homes is the highlight of the FRANK ZAPPA Shut Up 'N Play Yer Guitar Box Set experience. Great emotional range, great dynamics, and combined with a true band feel, makes it a winner. Frank's playing is for the most part, consistently on the money here. 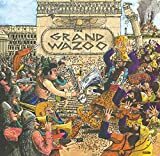 Canard du Jour has Frank Zappa on the bouzouki and Jean-Luc Ponty as the only other musician to play on this song and what a great song it is, if perhaps not as good as the previous track. It's great to see Frank experimenting with other instruments on what is mainly a guitar instrumental trilogy. It has it's rough moments, but also some great moments too. For the great songs, listen closely and there are hidden delights throughout. The rough moments are unfortunately, preventing me from seeing this as something that will have broad appeal, but it will certainly appeal to many guitarists and many Zappa fans. Maybe a better title for this vanity act would have been 'Shut Up While I Play My Guitar'. 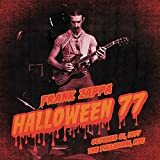 Talk about self-indulgence: how about a 3-Disc compilation of his own guitar solos, culled by Frank Zappa from a wealth of concert recordings (Zappa and his various bands played a lot of live music over the years, and he taped just about everything). The good news is that the music is never less than excellent, and frequently outstanding. Zappa was always an underrated musician, being considered more of a thematic artist, bandleader, and below-the-belt satirist. But he expected only the highest caliber of musicianship from his players, including himself, and even in piecemeal form the talent (his own and his band backup) is impossible to deny. Also: the myriad performances here were edited seamlessly together into what could almost be one long instrumental medley. It might have been nice to identify specific concert dates, but you could always argue that the lack of any frame of reference forces the listener to engage with the music on its own terms. Removed from whatever context they might have had in the framework of a particular song, the solos by themselves take on an entirely different character: approaching the rarified strata of pure, undiluted music. Three CDs of edited guitar jams might seem like too much of a good thing. But each disc is only 35-minutes long, more or less, and the entire package could have easily fit on a pair of CDs (or, with only a little more editing, on a single disc). And after being dragged through the gutter of 'Joe's Garage', or suffering the crude sexual sarcasm and homophobic muckraking in songs like 'Jewish Princess' or 'Bobby Brown Goes Down', it's almost a relief to hear nothing but guitar heroics, played by an ace. Whatever one's opinion is of this album, I get the feeling that it would be pretty well set before hearing a single note from here. This here is 3-CD's worth of nothing but guitar solos (with really solid support from his backing bands), originally released as three separate LP's (Shut Up 'N' Play Yer Guitar, Shut Up 'N' Play Yer Guitar Some More and Return of the Son of Shut Up 'N' Play Yer Guitar), and depending on your attitude towards lengthy guitar wanks in general, you'll like this or despise the living daylights out of it. Not being a guitarist, I'm not extremely thrilled (needless to say, I was completely unable to listen to this straight through in one sitting), but I definitely like it much more than not. The best thing about Frank as a guitarist is that he doesn't repeat himself much, if at all. I can't imagine the horror of trying to sit through, say, 3 CD's of nothing but live Steve Howe solos (I mean, I love his ending "Siberian Khatru" solos, but every version of it is 90% the same), but getting through this is nowhere near as tedious as it would be in the hands of a lesser guitarist. For instance, the solos in each of the title tracks (from the three original albums) come from performances of "Inca Roads," yet each of them has its own personality and development. And with all the tracks in general, the solos are clearly intended to be melodic and interesting and entertaining, never excessively drenched in feedback and never going into atonal pain mode. I'll put my review of these pieces here rather than under the individual discs since the Shut Up 'N Play Yer Guitar triple-set was originally released as a 3-LP boxed set, and I believe the current CD edition restores the boxed set format. A treat for those of us who found Zappa's novelty rock direction at the dawn of the 1980s profoundly irritating, Shut Up 'N Play Yer Guitar is a set of guitar solos trimmed from Zappa's live concerts from the era (except for Canard Du Jour, the closing track on the final album, which is a studio jam with Jean-Luc Ponty from 1972). This is the result of Frank's burgeoning interest in the technique he referred to as xenochrony - trimming improvised performances from their original context and setting them in a separate one to create a new piece. The extracts here are, essentially, the sort of raw materials that Frank would use to create xenochronous works on albums such as Joe's Garage, but in this context, all jammed together, they work surprisingly well. The album is significantly more varied than expected, contributions in the background from other musicians helping to avoid this becoming the Frank-and-his-guitar show, and the range of genres from classic rock to Santana tribute to fusion is impressive. Of course, the dedication Frank shows to the set's central conceit (that this is a big collection of Frank shutting up and playing his guitar) is also its downfall to some extent. Man cannot live on bread alone; likewise, listeners aren't often satisfied with just guitar solo after guitar solo. If you are a big fan of technical guitar playing and want three discs of Frank riffing away like there's no tomorrow, then you'll probably love it, but for the rest of us I wouldn't say it's a set to listen to regularly, and indeed I find it hard even to sit through any of the individual portions involved , but it's still a welcome return of Frank's pioneering experimentalism which otherwise seemed to get a bit lost around this time. Three discs of Zappa guitar jams is pretty much the definition of excess... perfectly performed and enjoyable instrumental excess. 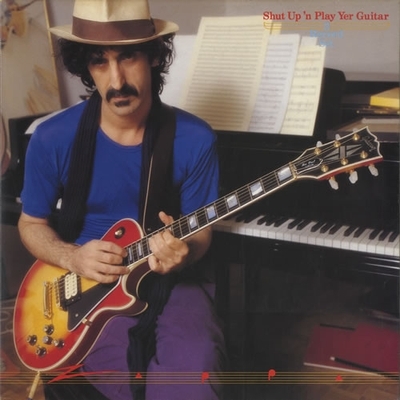 Shut Up and Play Yer Guitar is a compilation of mostly improvised performances that shows off Zappa's skill as a instrumentalist, whose guitar virtuosity is as scattershot and weird as his work as composer. Because the songs on this release aren't so much songs as they are jams, Shut Up and Play Yer Guitar is a challenging album unless one is who either A) already a Zappa fan, or B) are a fan of instrumental rock in general. Because it's Zappa, the songs don't have hooks, choruses, or even melodies in most cases. These tunes are pure jams, but convey style and mood and creativity at pretty much every moment. 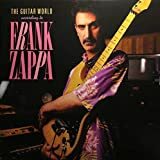 Zappa and his varied assortment of supporting players (much of whom are recorded with him live), do a great job of catching the ear with their musical interplay. The first disc is mostly noodling, and honestly gets old fairly quickly. Discs two and three build momentum, creating more cohesive sounding cuts that feel improvised, but also more like songs. The third disc especially has tracks that show off Zappa jamming at his best in a very appealing tone. This is not the bouncy, playful Zappa we hear in the early '70's; this is electric and cool and tasty. A great purchase from the Zappa vaults, made especially more interesting because of its improvised and instrumental focus. 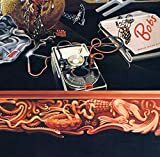 Post a review of FRANK ZAPPA "Shut Up 'N Play Yer Guitar (The Box Set)"